The Year of the Horse gallops closer. At his approach, we can feel the thump of his hoofs in tune to our heart’s rhythm. The horse is no longer our daily companion. Yet his size, and power are still reflected somewhere inside us. He arises like the Sun on a winter morning. He is the waves pounding on the shore. Nothing can stop him, yet we have the power to rein him in. He is our transport to the Otherworld. Horse represents both the power of life and the inevitability of death. 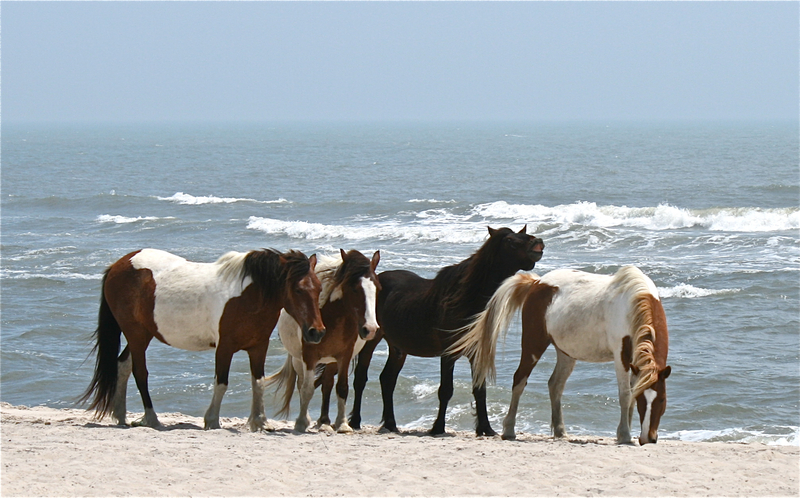 On Thursday, January 30th at 4:38 pm, the Year of the Horse begins with the moment of the new Moon in Aquarius. Don’t be afraid to feel the horse you ride, and to let him have his freedom to take you into the future. Sun and Moon are in the sign of Aquarius, a constellation connected to the future or to whatever in the present feels: ‘futuristic,’ modern, high tech, scientific, in interesting contrast, both individualistic and humanistic. Aquarius is the special province of science and astrology and computers. It is the vision we have of our potential as individuals, and as a society, or species. The Sabian Symbol for the degree where Sun and Moon have met asks us to take a moment to meditate and listen to our guides and to our own potential for growth and inspiration ‘During a silent hour, a man receives a new inspiration which may change his life. The need to rely upon inner inspiration and guidance at the start of new developments.’ (Dane Rudhyar, An Astrological Mandala). 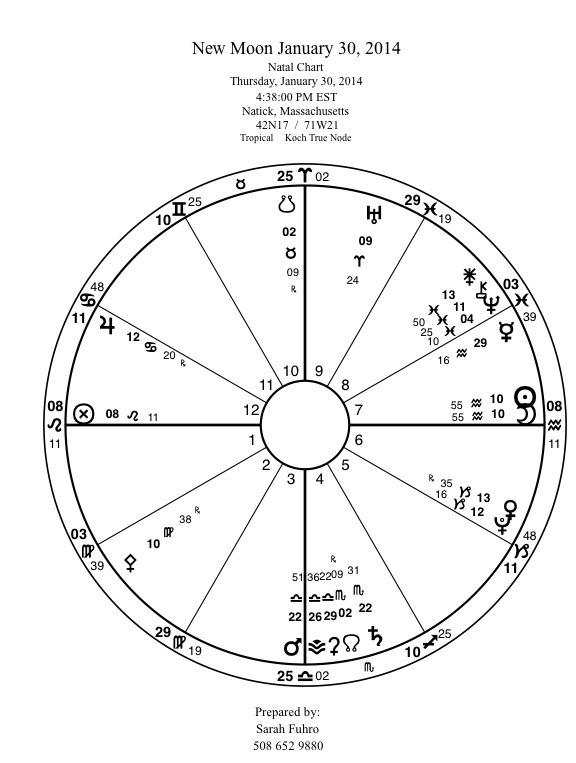 This chart of the new Moon has a number of powerful relationships between planets, which challenge us to remember there is a difference between power and force. The ongoing square between the Uranus (a co-ruler of Aquarius) and Pluto, lord of the Underworld is a case in point. This aspect is the signature of the exciting times we are sailing through, with ties to the period of the 1960’s when Uranus and Pluto were in conjunction. Once more we are feeling the ground shake under our feet as these two outer planets demand change. Venus and Jupiter are also involved, with Jupiter in opposition to Pluto and Venus as well as square to Uranus. Here we have a mixture of highly influential planets all lined up to tell us we must question the way we look at the world and how we react to challenge. This combination may raise our vibratory level (Uranus) to the point where we feel we are about to take off for outer space, while Pluto and Venus pin our hopes and aspirations to the sweet earth (Venus) and to the Underworld (Pluto), so that we are forced into introspection The combination of the planet of love (Venus), and the planet of whatever cannot be avoided (Pluto), spells out the power of love to overcome what looks impossible to conquer. Jupiter in Cancer at the third angle of this T-square is there to remind us we are all one family. We must use gentle power (Mars in Libra) to open the complicated lock on the door to the future we are about to enter. The door cannot be forced; it must be entered with gentle care. Mercury is about to leave rational Aquarius to enter heart felt Pisces with a visit to Neptune in the next few days. Communication may take a turn for the mystical, the universal or the illusory. Saturn moving through the sign of Scorpio, continues show us our darkest fears are only a reflection in a mirror. 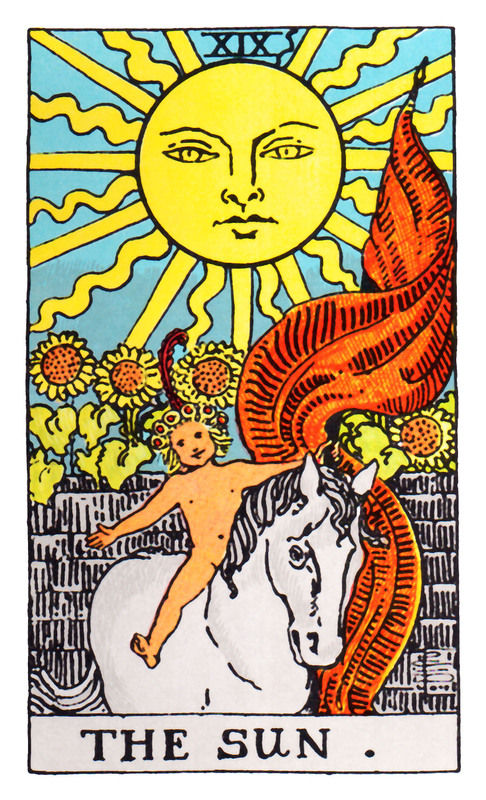 The Strength Card from the Rider Waite Tarot Deck is a good illustration of this moment in time. We are ready for a next step in accepting and using our power, but it must channeled into a loving partnership with our animal fire, or, we will destroy ourselves. 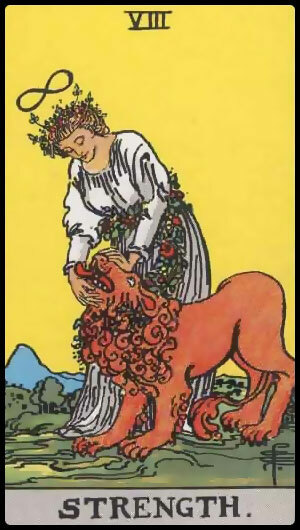 The Woman and the Lion pictured here are Virgo and Leo. 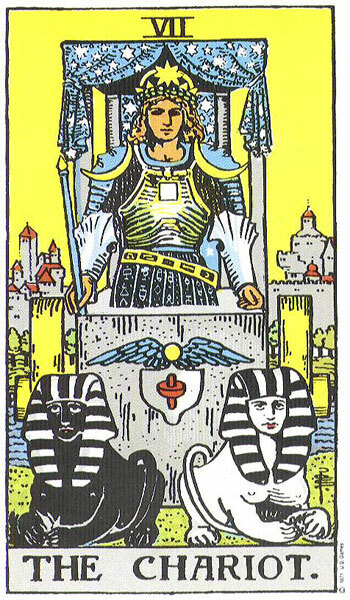 The tempering finesse of Virgo and the powerful heart centered Leo come together to create the Sphinx, the ancient symbol of wisdom and eternity. the deep winds to blow their way. of their charcoal black appearance. unless we visit the cracks where they arise.